Hiring a Taxi is crucial part for any traveling experience as its reliability and knowledge of drivers can make your holidays memorable. This is why we are here with best and cost effective taxi booking services, Srees Tours & Travels provides an impeachable and timely service to our guests visiting Kerala with friends, family or wife. All our tourist vehicles are well maintained and driven by experienced drivers who generally speak English, Hindi and Tamil. If you are traveling from middle east, we an arrange an arab speaking drivers for you. We take extra care while offering a cab service to our guests in which, our drivers will act as a guide and will provide required information about different tourist places. He is a person who is well versed with local area, language, culture and places etc so that our guest will not face any problem during their visit in Kerala. Before you book Taxi from any operator, we strongly recommend understanding few important points mentioned below. It will help you to get best and safe cab for your journey. Book a taxi from only reliable tour operator / taxi operators. Please note that Taxi charges in Kerala is little costlier than other states because, travel Taxi operator are paying high salary to their drivers for proper maintenance of their welfare. If you are in need to book a taxi on arrival at Airport or railway station, do not book from a person standing outside the airport. You can easily find prepaid Taxi counter that is available in most of the Airports and Railway stations. It is because, all prepaid taxi operator are registered with relevant authority who take care of safety and reliability of operators. Do not take or use a car with private board because when you hire a proper taxi, you are being insured as third party. You may not be able to claim any damages in case you use a private car. How to Get a Cheap Taxi? Price of a Taxi plays an important role while people hiring a Taxi from operator. As we all know that there is no cheap taxi available and you need to pay for the kilometers you traveled. But we definitely help you to minimize the Kerala traveling expenses by sharing few important points mentioned below. Again, do not run behind cheap Taxi, also consider the security and reliability too. Here are few points that will help you to save your money in hiring a Cab. If you have already planned your trip and everything is already scheduled, this is the best and cheapest option available in Kerala. In this option, a particular amount of fixed cost per day will be charged in which predefined minimum kilometers will be available for the guest. Just for example – an indica ac car @ Rs 1600 with 150kms per day. If you take for approximately 6 days you need to pay 1600 x 6 with max limit of 900kms. But you will not get any refund if you use this taxi for only 700/800kms. When you make a deal ensure that all conditions, verbally or written, are agreed by both parties so that at the end of the trip there should not be any dispute. Main advantage of this option is that you will get one taxi driver for the entire trip. If he can speak multi language + if he knows everything on the local side, your trip in Kerala will be the best. #2 Local Taxi transfer from one destination to another destination. Some of the guests think that places to place transfer ie Kochi to Munnar one taxi, another taxi from Munnat to Thekkedy etc is cheaper. But in actual case the guest will be paying more as compare to package taxi. The main disadvantage of this option is that you need to pay return charges also. Moreover, these kind of taxi drivers are doing only transfers and not aware of the tourist places / attractions in each of the destinations. Some of the agencies are operating this but not widely common in Kerala. After dropping a guest at airport or rly station, the taxi needs to come back to its place of origin. For example, if a taxi took a six days package starting from Kochi and ending at Trivandrum, this taxi needs to come back to Kochi from Trivandrum after dropping the guest at Trivandrum. 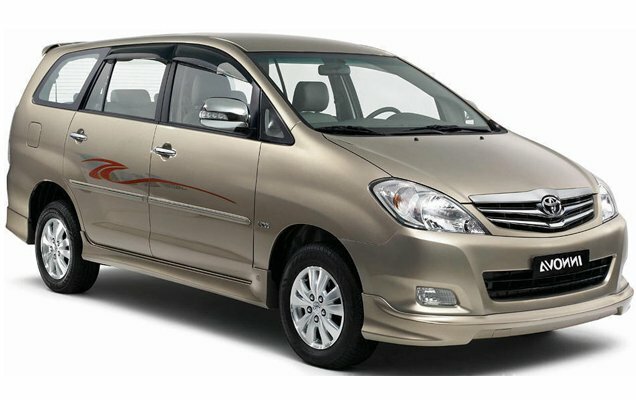 This taxi is available for approximately 50% off the price from Trivandrum to Kochi. Please check our return taxi link for the same. For those who look for rent a car facility in Kerala should know that rent a car to incoming tourists are not authorized by law. Though some of the agencies are doing at Kochi and Trivandrum, they basically give the car to known persons only. Some of the guests coming from nearby states are driving their own car. Those looking for this facility should ensure that their car is equipped with GPS facility. In Kerala there is no sign board available and one should need to ask local support to know correct routes. Most of the guest are happy to book a cheap taxi offered by online portals / single owner taxis. But they never know what the risk factors are when they book a taxi from unknown agency /online portal. Below are the main risk factors behind booking a taxi in Kerala. Hartals (strikes) are very common in Kerala. When some political party calls strike for the day, even tourist vehicles are also not allowed to drive on the roads. There are incidents where tourist taxi attacked by striking political outfits. If you are booking a taxi with a single driver or unknown agency, the driver will not drive the vehicle, what so ever the reason. But when they book a taxi with reliable agency like Srees Tours, the agency will give a maximum support to drive the car and drop at the destination. This is every important since if the strike happened the day the guest needs to be dropped at the airport. No additional charges are being asked by our agency. Since Kerala does not have good highways like other states have, driving in Kerala is always risky. In case of any accidents or vehicle breakdowns during the trip, Srees Tours used to make alternative arrangements immediately with local support. We had experienced this earlier and our immediate actions ensure that the guest does not face any problems. When a Guest choose to book a taxi with unauthorized or single taxi owners, these kind of attention and help will not be available for them. The Guest who book only taxi should ensure that the taxi he booked have valid documents. Below is the minimum requirement of an authorized taxi. The vehicle should have yellow number plate. The driver should have uniforms. The vehicle should have paid the taxes before due dates. The vehicle should have completed yearly testing. Check insurance, original registration papers and driver license before starting the trip. If the taxi does not fulfill the mentioned requirement, it will not be allowed to take interstate permit resulting ones holiday is spoiled.